Just after some advice regarding the best location for a South African safari. Background, family of four with two kids aged 11 and 8 traveling in mid October. We will be flying in from Dubai and we will have 9 nights. I have the option to either fly in or out of J'burg or Cape Town or any combination of those two. We definitely want to do Cape Town and we think we will spend 3 nights there. Secondly we would like to go to Sun City, I'm a keen golfer and I think it will be a fun location for the kids plus we can add Pilanesberg while we are there. 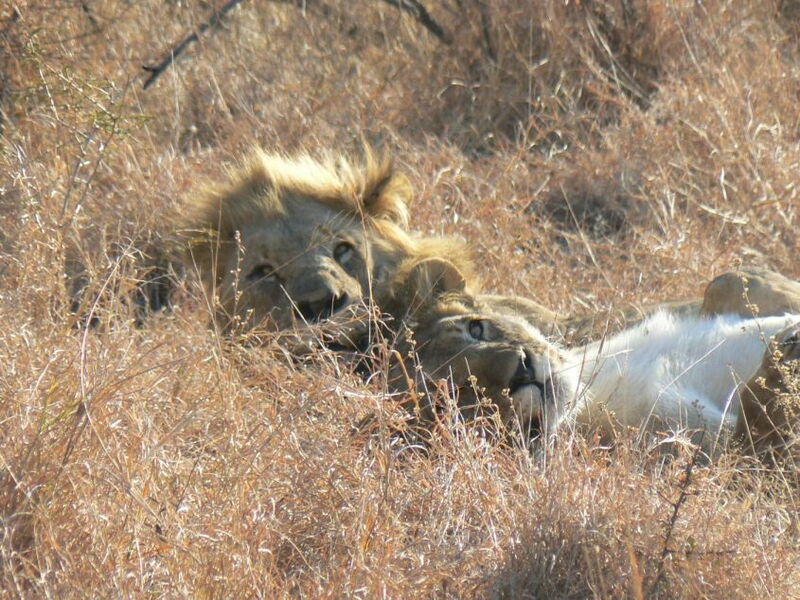 Finally we would like to do 3 nights in a game reserve. Madikwe is obviously close to Sun City, is easier to get to from J'burg and has the benefit of being malaria free (especially with the kids). However, the priority will be the quality of the game viewing and the authentic bush experience. What is the comparison with the game viewing between Madikwe and Sabi Sands? Is Sabi Sands that much better that it warrants the (slightly) more difficulty in getting there and the (slight) risk of malaria? Secondly, what would be the best way to organize an itinerary such as this? My thoughts if I went to Madikwe would be to fly in J'burg, drive to Madikwe, drive to Sun City and then drive back to J'burg to catch a flight to Cape Town and then fly home direct from there. Is there a better way to do it? Reverse? How do I plan it if I go to Sabi Sands without spending too much time commuting? Finally, if you have any suggestions for lodges in either reserve suitable for families then I would be happy to hear them? Budget is fairly open. I've spent times in both the Sabi Sand and Madikwe reserves, twice at Madikwe and three times in the SSGR. Honestly, with the time you have available and your plans for the rest of your time in SA, I'd go with Madikwe. In terms of game viewing, the differences are likely to be more minor than major. We saw more leopards in the Sabi Sand area, but more wild dogs in Madikwe; but like any safari experience there are no guarantees. I think your plan is quite sound - fly into Joburg, drive to Madikwe, then back to Sun City and down to Cape Town. I will just throw out an idea about timing. Is mid-October set in stone? Because if you could go earlier, around the first half of September instead, you'd be there in time for the stunning wildflower season on the Atlantic side of the country, just north of Cape Town. This is a mind-blowing scene, worth changing things up for. Your call, of course. Great to hear that you are planning a family trip to South Africa! It's a trip that will resonate with you long after you return home! If Sun City for golf is on the itinerary then it makes slightly more logistical sense to include Madikwe as your safari destination. If you are open to reviewing the order of your trip, I would advise Cape Town first, then fly to Johannesburg, pick up a rental car, drive to Sun City for golfing then end on Safari. You could then drive back to JNB and return the car on your day of int’l departure. I advise clients to leave Safari as last whenever the itinerary allows since, for most people, it is the climax of the trip. Not to mention that the safari schedule can be a little tough if done first on the itinerary given early AM wake up calls but, much of this depends upon how well your family deals with jet lag. I personally find the game viewing at Sabi Sands is generally speaking better because of its strong leopard sightings, but wild dogs are truly impressive and you will surely see those in Madikwe since they are known for wild dog conservation. That is not a sure bet in Sabi but, having said that, I have seen wild dogs on every trip to Sabi and I have been there a lot. Perhaps just my good luck! But animals move freely so nothing is ever guarantee'd! With children though, Madikwe is malaria free and that is a bonus, especially if you are thinking October which is the start of the rainy season and elsewhere is more of a risk for malaria. Sabi is a lower risk area though. Logistically to visit Sabi or Timbavati (another great private reserve abutting Kruger), it's not much more challenging to get there over Madikwe. I would still recommend Cape Town first, then Sabi (direct flight to one of the reserve airports closest to your lodge of choice) then a flight to Johannesburg from there where you would pick up your car and drive to Sun City. You would need to overnight though since you would want to do the drive before it gets dark. Always best to drive during daylight when you are unsure of the roads regardless. There are certainly plenty of wonderful family lodges in both Sabi or Timbavati or Madikwe. Specifically with Madikwe, clients love family lodges such as Tuningi, Jaci’s, and Madikwe Safari Lodge, just to name a few. Thanks for the reply and the info. Unfortunately, the travel dates will be reasonably well set for mid October as it will be when my kids are on school holidays here in Dubai. Thank you so much for your information, that was awesome. I hadn't really considered the impact of the early start of a safari may have on the rest of our trip or the consideration for leaving the 'highlight' until the end of the trip. Excellent considerations. Is there a significant difference in the vegetation or bush between Madikwe and the Kruger region? Also, I haven't really researched prices yet, but are there significant differences in price and 'quality' of the family-friendly lodges in both Madikwe and Sabi Sands? Coming from Dubai you're not going to have a debilitating time change (2 hours) but of course that's a consideration. One thought I had is that the later you stage the safari - in either Madikwe or at the Sabi Sand reserve, you're going to encounter higher heat, and in the case of the Kruger area, higher humidity, and a higher chance of rain, the longer you wait. To a degree, the opposite holds true in Cape Town; the farther you go into spring/summer transition, the warmer and drier it will become. 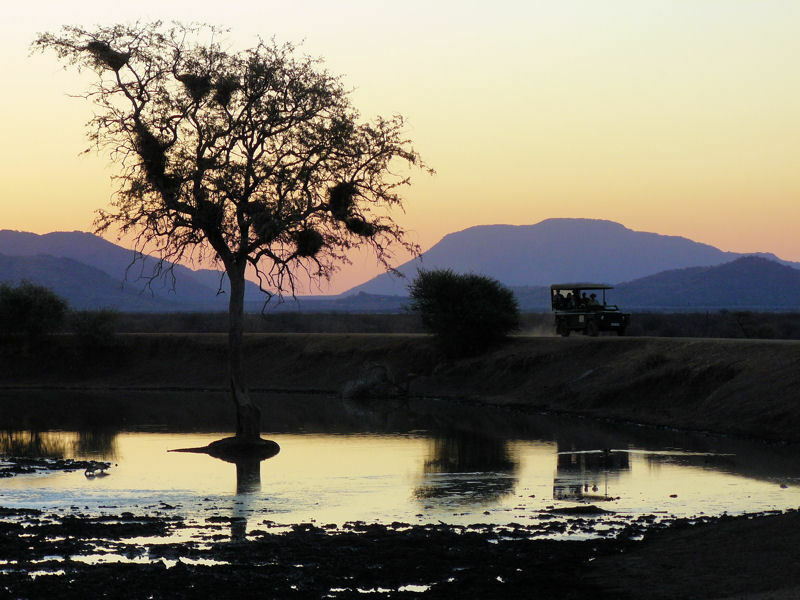 The Kruger bushveldt is more forested than Madikwe; Madikwe is on the fringe of the Kalahari and is considerably drier than the subtropical conditions around Kruger. By October in the Kruger area you'll be entering the "green" season, with a lot more rain (vs. none during the winter) and - importantly - more foliage between you and the animals. They also won't be as motivated to come to the various water holes and dams, which makes game viewing comparatively easier in the winter. Madikwe is also hillier, around the fringes of the reserve anyway - so there are plenty of vista-views and a more dramatic landscape in general. So if it was me I'd leverage the weather to my benefit - earlier in the north or west, later in the south; in fact I might consider changing the order of things - Madikwe first, Sun City second, Cape Town last.